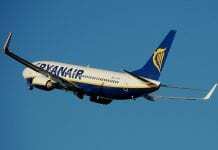 A DECISION by Ryanair to sack a steward who ate a €5.50 sandwich while working has been upheld by Madrid’s city court. 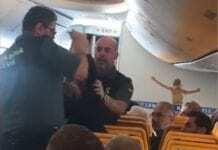 The Madrid-based steward was dismissed in 2011 after he failed to follow the discount airline’s food purchasing protocol. He neither informed other crew members he was eating, nor paid for the ham, cheese and tomato baguette as required by the company’s regulations. The steward has appealed twice, first to the labour court in Madrid and most recently to the city’s court of law. Both judges dismissed his appeal on the basis the low-cost airline operates according to Irish law, and the steward was hired through a job agency in Oslo. Caccia, a “man” doesn’t hide behind multiple aliases and confess that they troll on purpose. You are not in a position to demand anything. I tell you what I want to tell you lol. I am giving you my opinion in this case – the law is not always correct. Btw, 4 degrees inc doctorate. Still sleeping tight btw. Pray tell me, are you one of those unfortunate people that are stuck with property you cannot sell, if not you must be quite content living in Spain. How many happy pensioners you know of that wish to return to the U.K.
All the pensioner’s I know are quite happy living here regardless of all the problems mentioned as on OP. I am sympathetic towards people that have all sort’s of problems, homes demolished etc, but that’s life i’m afraid and most of their problems were self in-flicked by not doing their homework properly ie, leaving their hard earned cash in the hands of strangers. I feel sure the if you were going to purchase another property you would certainly do your homework. Those that purchased holiday villa’s or flats and now wishing to sell are perhaps due to having financial problems back home otherwise why sell regardless of what it may be presently valued at. They were originally purchased as a holiday retreat and if they gain in value better still, but basically they are only worth the value of what they were purchased at. I recall many years ago chatting to my accountant generally. During the conversation he mentioned advising certain clients of cutting their losses and get out, but they always insisted that things may get better until they eventually went bankrupt. Perhaps people should consider the amount they paid for the property and sell at that price just to get their money back. How many times have you heard people say, “Well I bought my property for X a few years back but it’s now worth X amount”. Stuck. All properties will sell at the right price even with a small profit margin but at least they get out. Things have started to move slightly again in Spain even if it’s slow but people still hope to make a few extra bucks. Human nature i’m afraid. caccia, in defence of Fred you did say you were trolling on this website and you did post also under the name of franco which you then made up some far fetched story about others using your laptop/computer hence the different names used. Then, OP confirmed you were using aliases, you can’t deny what they said. Back to Spanish property. The company known as RR Acuna and Associates in Madrid last year said there were 2.25 million properties for sale in Spain, far more supply than demand. Apparently there are 3.4 million empty homes in Spain, enough space for maybe 12 million people, and as the OP article says 184 Spaniards are evicted from their homes every day, so even more being added to the total of empty homes. Do me a favor please, Franco used my laptop the same as my wife uses my laptop under her name. The same Email address. And what is your point regarding all these empty properties. We all know the situation regarding the overbuild. So why not make contact with agents in the U.K so that they can inform possible clients, “No problem, plenty of houses going cheap in Spain”. Perhaps that may solve the problem over here. As I have said many times before on OP, I only use the name of caccia and if you look back on any of the OP letters you will find the same. And?. Again a simple question, that requires a simple answer. I’m afraid Angie has the same illusions as yourself regarding the name caccia. Still waiting for indications of where I used aliases names. Can’t find any ‘eh. Anglie has caught you out Caccia lol. The point @caccia is that the huge oversupply of properties in Spain means there’s no chance of the market suddenly picking up nor boom days to come for many years. So you lend out your laptop to someone called Franco do you, a likely story, it was one of your aliases and you know it? As if a stranger called franco can nip in to use your laptop which you’re unaware of and posts on the same topics is a remarkable co-incidence, what are the chances of that happening? So does your wife also post on here under her name using your laptop, or, is it really you? The OP said you were doing this, you said you were trolling too!!!! Franco did not nip in to use my computer. Was here for ten day’s holiday, Has been back in the U.K since last year. Wife uses my email address for Skype and family matters. Has no time to use the computer like you do. Property. Couldn’t care less if the values go up or down, didn’t come to Spain for financial gain, came to retire 20 years ago, it’s just a roof over someone’s head as far as i’m concerned. Are you happy living in Spain???? “and posts on the same topics is a remarkable co-incidence, what are the chances of that happening”? That’s a laugh, happens all the time, same coincidence as you and Fred, would you not say. OP has never printed, as far as i’m aware, that I was using alias names. (Fred can’t), and you seem to contact me okay under the banner of “caccia”, therefore perhaps you could direct me to that section. Please don’t repeat or believe what old Fred say’s, he will only lead you astray. Fred could explain to you why. From memory you used 3 or 4 names, with the same style of writitng, but you are a mate of Derek who uses even more, peas in a pod. Bad memory i’m afraid Reap, they were business names if it was those names you were referring to. Please look back before you write and make such statements. Would you like me to post that section onto you, second thought’s waste of my time, you look back. Do NOT know Derek, you seem to have the same mentality as poor old Frederick. Well, that was a fascinating butty, though with quite a caccy filling. 113 comments and counting…. That is OK then, you are funny without even trying to be. Caccia, a doctoral degree is a degree, doh. You really must swat up more lol. Never said it wasn’t. You really must swat up more. 4 degrees and doctorate. I think I also said somewhere, 4 degrees and a Ph.D to boot. No need to mention the doctorate as a separate degree. One could have a diploma for many things, say swimming, for example but one does not call that a degree. Pity I can’t send you a photo of a doctorate degree. And pray tell what subject did the Ph.D imply. @ OP moderators…I think it’s about time you pulled the plug on this verbal diarrhoea. It has nothing to do with Ryanair or it’s personnel policies and procedures. Go onto Wiki and see what a proper Ph.D entails and if you had applied for a doctorate it would have been rejected due to unsupported qualifications. I hope we are talking about well recognized universities and not backstreet one’s. My PhD took 6 years in fact, done from Spain mostly, and with visits to London. The first two and a bit years were for MPhil, and then conversion to the PhD programme. I think the University of London is a recognized Uni the last time I checked. You should really stop embarassing yourself Caccia. This frustration you suffer will make you ill. Go and play some bingo. Perhaps Brian is right on this but it all stemmed from a person that does not agree with a companies rules and regulation which most companies have built into the their contract of employment, ie, such as Ryanair. I’m sure if this person was being interviewed for a top position in a company and was asked his thoughts of the company dealing with theft, sorry mate, no job. Calm down, not good for the blood pressure, bad for the heart. So most was OU, not full study, perhaps that’s why it took 6 years, that’s if I believe you. So you can answer a question, yet strangely cannot answer the simple question of where these so called Multiple Aliases are and direct me to them. If you note, there are many strange names being used on OP besides caccia. Fred, Bingo teaches one how to react quickly, such as shouting out HOUSE, think you are still in the slow lane. Do me a favor, give up. 6 years was the distance learning requirement. I pursued that whilst living abroad, hence the time period. My Bachelors, Masters and MPhil were taken at London Uni. Some 50000 students study by distance learning at London Uni, so are they all underachieving students too? Doh. Caccia, you often accuse me being off-topic and yet you bring up “Brian” on a thread where he doesn’t exist. Then you call me a troll, but you are already a self-confessed troll that was caught red-handed, er, trolling. So, as everyone already knows, you have zero credibility on here, and making a few normal posts here and there will not help you regain any credibility. Asking me to calm down when you are posting multiple replies just about every minute on here is most amusing, albeit embarassing for you. Your choice. Was wondering why my replies to Fred are being deleted yet his are being posted. I would therefore request the same regarding Fred if that’s not a problem, or at least allow me to reply. OU,(if I believe you), you even admitted that you had done a 2 year course for a diploma then went on to mention all these fictitious degree’s when caught out. Do you realize the amount of study and work that one needs to achieve a PhD. Look it up on Google if you know how. Anyone can say they have done this or done that but you had been caught out. Can’t even direct me to these Multiple Aliases you accuse me of. How many lectures or seminars have you given. How much financially, had you contributed to a Uni for your researches. How did you manage to have a one to one with a lecturer if you were based in Spain. There are many questions I could ask you but you would only dig yourself deeper into the mud. I have two granddaughters (sister’s). One that had studied law at London Uni Kings college, the other currently at Portsmouth Uni studying Biology, both full time, not OU. You are correct on this one, “replies” I reply to your trolling, I don’t create them. If you class that as trolling then I’m in your club, not bothered. You know the old saying; Sticks and stones. Are you trying to convince me that you have all these degree’s, if so why waste time on these sites when surely you must have better things to do, such as teaching, giving professional advise to companies etc, etc, or were your “so called” qualifications insignificant to stand scrutiny in a lecture debate, or perhaps you are too lazy to do anything accept moan all the time. Thank you OP for allowing me to answer poor ol’ Fred and know doubt he will try and reply in his normal trolling fashion that’s if you allow him to. HOPE NOT, I think most have had enough of his moans and his attitude towards theft. P.S Fred. I could send you a copy of a seminar that a professional, a PhD, had been invited by other professional’s to give a speech at a dinner function. The dinner function was for this purpose, (that’s if it was allowed by and on OP as it is quite lengthy). It was in 2008 covering future technology that he was involved with and what we know and use today. Yes, I do. We had a lot of one-to-ones (and one-to-manys) via group conferencing software (heard of that?) and of course by actual, physical, campus visits and much longer extended periods of stay. Perhaps you missed the first word in “distance learning”? Only my doctorate degree was with the OU; the other three were full-time study many years prior. Btw, the word “diploma” has been used seven times above, and all of them by you, so your sentence “you even admitted that you had done a 2 year course for a diploma” is proven to be fiction, yet again. So easy to catch you out Caccia. How do you know that I don’t? In fact, I’ve done all those things in my career, and much more besides. So as you can see, I’m still waiting to be caught out by you, and you can rest assured that it will not be happening in your lifetime. Now don’t let me keep you from your bingo. Are you asking me to belief everything you have said. You said: quote. “6 years was the distance learning requirement. I pursued that whilst living abroad, hence the time period. My Bachelors, Masters and MPhil were taken at London Uni. Some 50000 students study by distance learning at London Uni, so are they all underachieving students too? Doh”. That would suggest OU. Don’t you think..
You quoted me as saying: “you even admitted that you had done a 2 year course for a diploma then went on to mention all these fictitious degree’s when caught out. Do you realize the amount of study and work that one needs to achieve a PhD”. I take it you are meaning an Ordinary National Diploma would you say. Da. Stand by what I say ol’ chum. From you to me: quote. “you even admitted that you had done a 2 year course for a diploma” is proven to be fiction, yet again. So easy to catch you out Caccia. Oh dear Frederick, another slip up on your part. Think you were caught out, naughty boy. From you to me: quote. “Caccia, you were caught out red-handed using multiple blog aliases, and no amount of distracting irrelevant information about trading names will hide that fact or recover your credibility”. NOTE TO ALL. None of the questions that I had put to Fred on April 1st 2014 4:48 paragraph 2. had not been replied. I think everyone must now be tired of this thread that has gone so far off track. It’s now closed!